LOSFA has created a top 10 list of tips to help students ensure that their TOPS processing can take place as quickly and efficiently as possible. Students are also encouraged to create accounts in the Louisiana Award System to monitor their TOPS processing status. 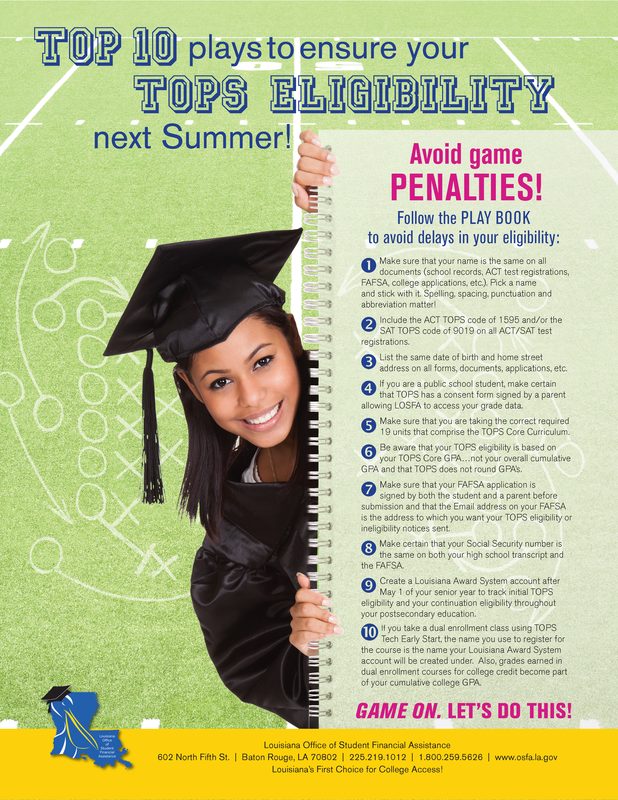 Students should be able to view their highest composite ACT score on their eligibility page. Students will also be able to update their contact information (i.e., email addresses) to make sure that they receive all future TOPS correspondence from LOSFA.